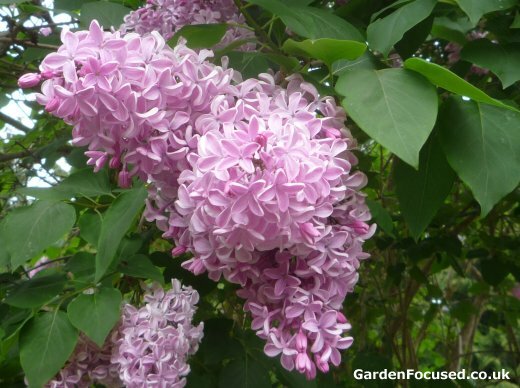 Your lilac care guide below shows you at a glance all the key steps you need to take, and when to carry them out, for the perfect flowering shrub in your garden. Although almost indestructible, they will not produce their best show of flowers unless they are looked after and pruned correctly. The difference between a well looked after lilac tree and one which just gets by is obvious and they are well worth the minimal effort. All dates in the calendar below can be customised to your area of the UK (click here to do this) or they will be accurate for average UK weather conditions. White lilac tree flower, click to enlarge it. To clear up any confusion, there is no difference between a lilac bush and a lilac tree, they are the same plant just called by different names. 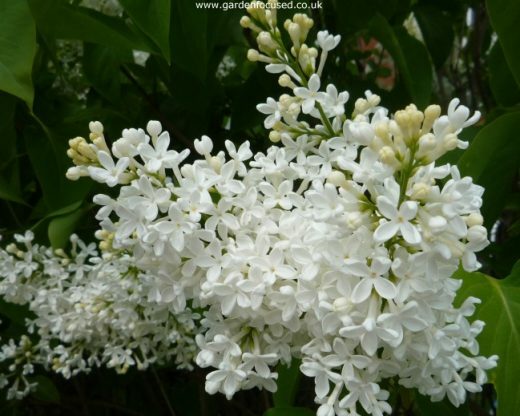 The lilac care calendar below is based on the most commonly found type of lilac in the UK, Syringa vulgaris, but it is also correct for many other species of lilacs including Syringa myeri. Some lilacs flower two weeks earlier, including Syringa x hyacinthiflora varieties and these are often referred to as early flowering lilacs. Others flower two weeks later in the season including Syringa x josiflexa varieties. 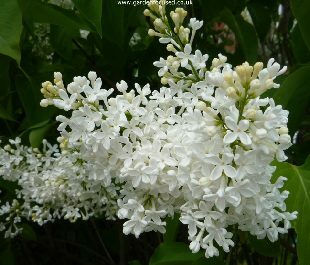 There should be no need for watering an established lilac unless your soil is very light. Their root system is extensive and they go down a metre or more into the ground. If you have a recently planted lilac however it is a good idea to keep the soil moist with hand watering in the summer months. After a year or two they will be more than able to find enough water for themselves. For established and newly planted lilacs they will benefit if you feed them once a year with three handfuls of blood, fish and bone sometime around the fourth week of April 2015. Sprinkle the feed around the soil at the edges of the canopy of the tree where new roots will be able to benefit from it. At the same time spread a layer of mulch (grass clippings are ideal) around the base of the tree (but not touching the stems) to a depth of 8cm /3in to conserve moisture and provide trace elements as it rots down. When the flowers start to die off after flowering spend a few minutes removing them. The flowers stems should be clipped off with a pair of secateurs. This will stop the plant putting effort into making seeds and also free up the branches and stems from dead and decaying flowers. At the same time (and whenever you have a few minutes later in the season) take a look at the base of the tree for any suckers which appear through the soil surface. For lilac trees three years old and more these should be cut away as close to the ground as possible, a few centimetres below if at all possible. 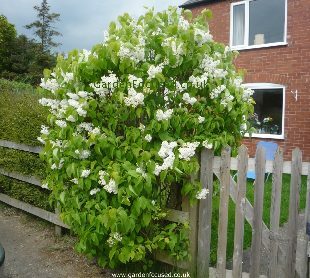 If you planted a new lilac tree in the previous year then in its first year, before it flowers, remove all the forming flower buds. This will help the plant establish a good root system early on ready for better flower production in later years. Lilacs prefer a soil which is neutral to slightly alkaline. See our article on crop rotation for more information on acid and alkaline soils. 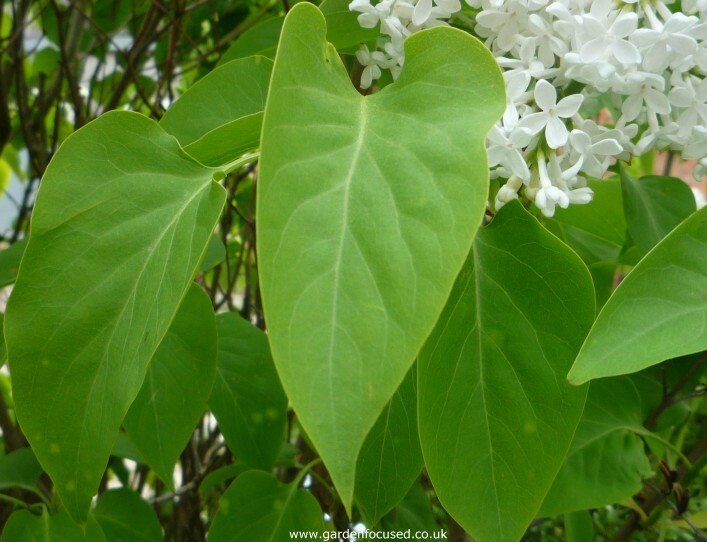 Allow for the size of the your lilac tree when it is mature. There are some dwarf varieties but in general the spread and height will be in the region of 3m / 10ft. Dig a hole slightly wider than the root ball and to the same depth. Your lilac tree should be planted to the same depth as it came in the pot. Infill with well dug soil and firm down to remove air pockets. Water well to provide moisture and settle the soil down. Lilacs are best planted in autumn when the ground is moist but still relatively warm. Spring is also a good time but avoid periods of freezing weather. If you plant your lilac tree at other periods of the year, water well in dry periods until the plant has become established. 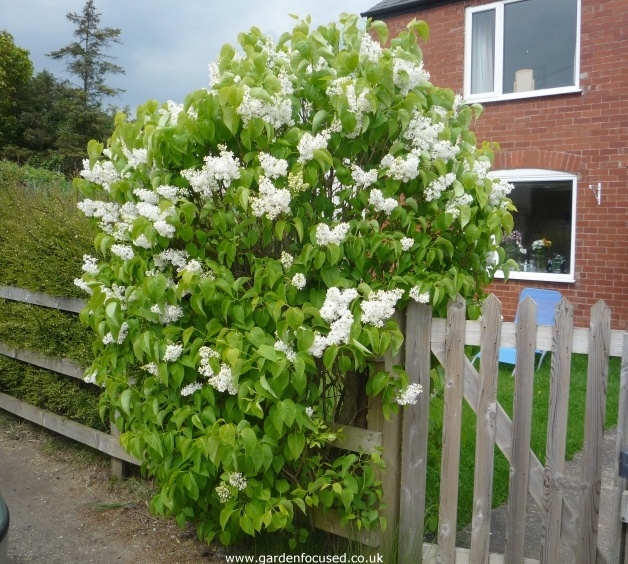 Lilacs are strong growing plants and will withstand most weather conditions in the UK. They are frost hardy down to -15°C / 5°F. Lilacs can grow without any pruning but in time they become leggy with the flowers only being produced at the top of the shrub. Your complete guide to pruning lilacs can be found here. 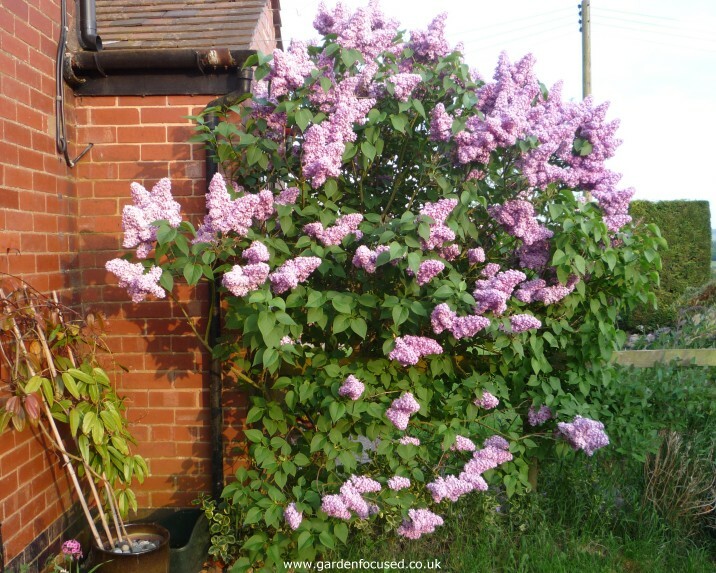 If you are choosing a lilac tree then you may want to see some of them growing in gardens and collections around the UK. Below we list some of the best locations. Unfortunately there is no longer an official national Lilac Tree Collection. Up to 2009 it was held at Withdean Park in Brighton. Cost cutting over the years resulted in the lilacs being neglected and in 2009 the "National Collection" status was removed. The park still has a very good collection of lilacs however and is well worth a visit, entry is free to all. Probably the best place in the UK to see well-cultivated and documented lilacs. An entrance charge applies. A well kept collection of lilac trees in a park setting. Entrance is free. Other "easy-care" shrubs in this series include Choisya, Hebes, Mock Orange, Skimmia, Potentilla and Rose of Sharon (hibiscus syriacus). Below we list the key strengths and weaknesses of Lilacs.